Stockholm Roller Derby is always trying to gain exposure, and to try and get 'into' sports groups. If STRD was to be acknowledged by the city as a sport then we would have support for venues, and for hopefully a venue within Stockholm. 'Within' Stockholm in most peoples minds equals within 'zone 1' of a train ticket. Most of the time STRD practices and competes outside of the inner zone, out to where you have to take a second train- the 'commuter' train or the pendletåg. Roller Derby could pull a much larger audience, and get more skaters to practice if we were centralized. Trying to get leagues established, and trying to get Roller Derby recognized as a true sport is how I find myself ins situation that are so strange to my life, and so discordant to my history. STRD was part of an opening ceremony in the Olympic stadium- which was honoring the hundred year anniversary of the 1912 Olympic games held here in Stockholm. 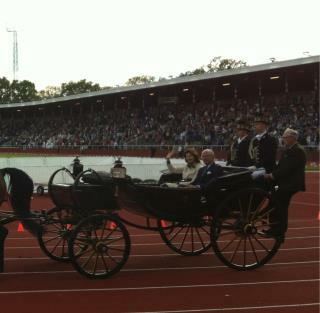 The King and Queen came around the track in a horse and carriage (!) after we skated around with the segueway polo group (polo played on segueways- but who am I to point fingers?). I and another skater who comes from Finland were the only ones in the group excited to see the King and Queen. 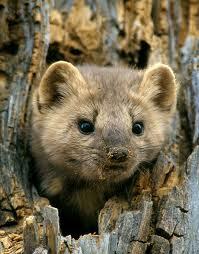 My goal this year is to see a pine martin. Apparently many pine martins live in a park- nearby- that I can get to by traveling on the pendletåg. "What then shall we choose? Weight or lightness?" The view from my deck- at 2 p.m. and 2 a.m.
For years I kept a journal- or a diary is the more appropriate word. Somewhere along the way I decided that I was dwelling in my past. So I stopped. But, I like having the blog so I can go back a year or two and see what I was doing at about the same time, and compare. Memory is malleable and mine is unreliable. This last year was eventful. This apartment feels so normal- to wake up to the sounds of people all around, to open the curtains and see a plane fly by, hearing the post drop through the slot in the door. Yet, Tasmania feels like it always did, some secret, almost unexplainable paradise. I feel so lucky to have so much in my life. I am happy to be here, and I am happy to be there. Whether here or there I am the same person- I go through the same cycles of behavior and each time I find myself a little surprised to be acting in such a way. That is the truth of the light, one long day. Here the sun does not guarantee heat like it does in Tasmania. Summer weather is volatile like Tasmania, rain could come at any time. Neither has the predictability and consistency of a California summer. There is a reason so many songs are written about California. It's summers, it's warm nights. Californian summers have a feeling of opportunity, yet without the grave price of winter. But I don't mean to sound as if I am eulogizing something I have lost. This is what I have learned, I can love and appreciate all the places and people that I keep muddled up in my brain, that I remember in snatches and scraps through my fallible memories. This is what makes me seem a bit scattered- I am always trying to work through so many cues. I remember this feeling now- as I experience the feeling again. Of days going by with so little attention, with so much to do that my mind has no time for reflection. My friends were all in wonder about how I could live in such an isolated place as Tasmania, and I admit sometimes life there is challenging. But I have garnered a love for quiet times, for silence, for darkness. Of course- here I am in the land of the midnight sun. The night comes on but there is no longer true darkness. Zok comes home and leaves over and over. Technology means he is never that far away and so I only keep a week of his schedule in my head at a time. I miss the days of properly bound, month long tour books. STRD has a bout coming up. We are splitting into two teams for a local fundraiser. What can I tell you of consequence? Stockholm has more lilac trees than I have ever seen in one place. I carry secateurs in my bag and steal a few each day. I am trying to grow plants in pots from second hand stores- that I can carry on the train. Zok has been in a funny mood- he made us blueberry scones, with whipped cream and strawberries for dinner at 10 p.m.